Suicide Attackers Kill Dozens In Assault On Afghan Base A suicide bomber rammed a Humvee loaded with explosives into a compound of the nation's primary intelligence agency, clearing a path for insurgents who started firing on personnel inside. Suicide bombers orchestrated an early morning attack on Afghan's primary intelligence agency in Wardak province on Monday. Dozens of security personnel were killed and many others were injured in coordinated attacks that lasted several hours in Afghanistan's Wardak province on Monday, officials confirmed. A suicide bomber rammed a Humvee loaded with explosives into a compound of the National Directorate of Security, or NDS, west of the capital city of Kabul, a security official told NPR. The brazen assault on the country's primary intelligence agency destroyed nearly all of the buildings at the compound. Following the blast, two to four gunman stormed into the base and began firing on NDS personnel. Death tolls varied widely. Early Monday, the Associated Press said about a dozen Afghan troops were killed. The New York Times, citing senior Afghan officials, later said between 40 and 48 were killed with as many as 60 or more wounded. Officials speaking to Reuters put the number of victims at 126. Reuters reported the insurgents were shot by troops during the bloody firefight. 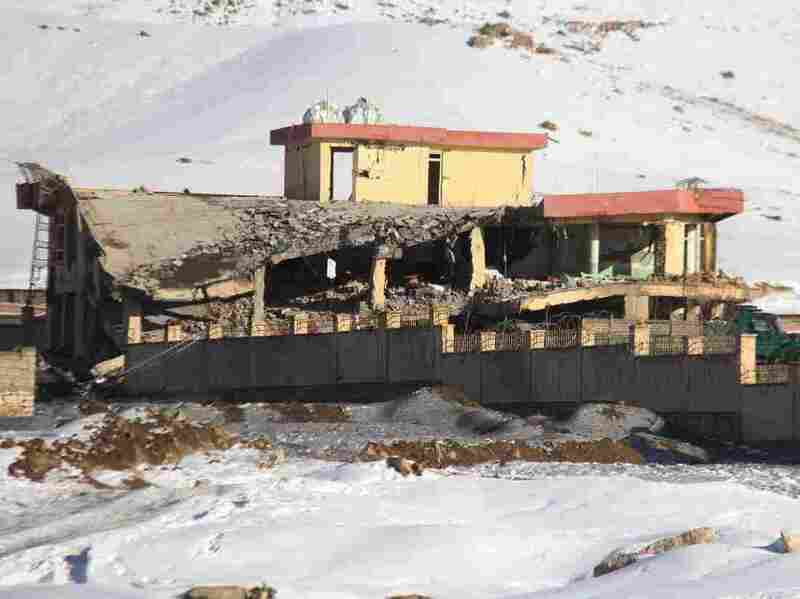 The Taliban claimed responsibility for killing more than 90 Afghan commanders, officers and troops, and wounding more than 100 others, the SITE Intelligence Group reported. The deadly attack came on the same day that Taliban and U.S. officials launched the latest round of peace talks in Doha, Qatar. Taliban spokesman Zabiullah Mujahid told NPR that the two sides agreed to meet after settling an agenda that included a discussion of the end of U.S. occupation of Afghanistan. In return, Mujahid said, Afghanistan would not be used as a militant base to attack other counties. The talks are scheduled to continue to tomorrow.